"Everybody got a little ratchet in 'em," sings TeeFlii on "Give It To Me," and that sentiment defines his debut -- boilerplate ratchet R&B. 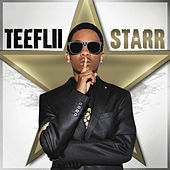 TeeFlii can be as debauched as Ty Dolla $ign, but he's not as compelling a songwriter, and he struggles to enliven his songs, whether it's the blues arrangement underneath "Blue Lipstick" or the G-funk rhythm of "Addicted." There are too few quality moments, like the "Intro" and the DJ Mustard-produced hit single "24 Hours," amid this L.A. vocalist's symphony of "thug love."